Title NoteTitle based on the contents of the item. 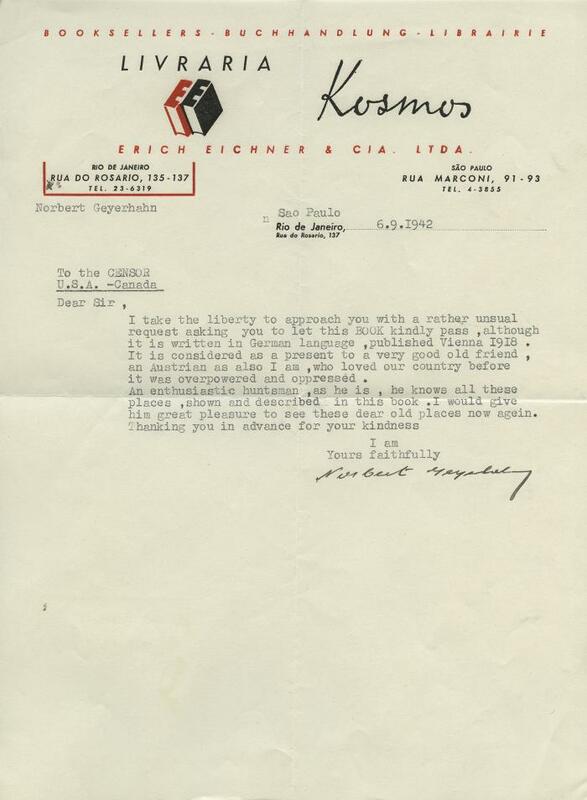 Scope & ContentLetter to the censor of US/Canada from Norbert Geyerhahn in Sao Paulo, Brazil concerning a German language book sent as a gift to Otto Reif. Asks the censor to allow the book’s delivery despite the language since it “is a present to a very old friend, who loved our country before it was overpowered and oppressed.” Envelope stamped "Examined by Censor." The letter was found in the pages of Frattenbuch, contained in Series 4: Books and Ephemera.